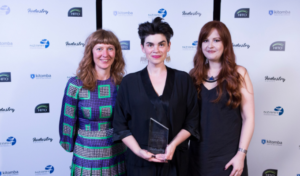 We sat down with Annabel Kinley, owner of Scout, to discuss her win at The Industry Awards and learn more about sustainability in her salon. How does it feel to have won the Sustainable Salon of the Year award? We all feel so excited and proud! It’s reaffirmed all that we are doing and the importance of it. It’s also been awesome to see the pride all our clients have felt from our win too! 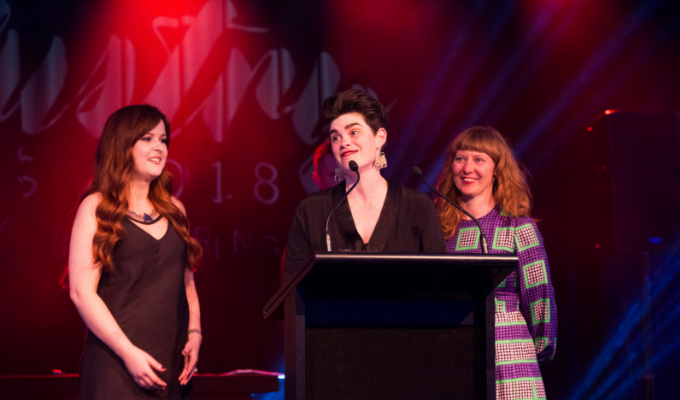 Winning Sustainable Salon of the Year has spurred me on, I’ve spent a lot of time in the last few weeks thinking about what we work on next and what that looks like. I’m so excited to see what the year brings. Why is sustainability so import to you and your team? I built Scout with the philosophy of creating beautiful hair in an intimate, sustainable environment. The question of if we should be sustainable never occurred to me, it’s always been what can we do, and how do we do it better? This focus was made all the more pressing when my son arrived two years ago. I feel I owe it to him to do all I can to effect change in Scout and, hopefully our industry. Our team are all involved in this vision, we all work together to ensure our impact is as small as possible, and we share ideas and brainstorm with our clients. It really does take a village and we feel so lucky to have such an awesome one behind us. What has made you so successful when it comes to sustainability? It’s really all down to the community we’ve built. It’s what drives us to do better, it’s how we educate others and how we learn. Scout has become a place to share ideas which makes it so much more than just a salon. I’m also very project driven, so I work on one project at a time, getting it to a place I’m happy then jumping into the next goal. For example, in 2019 I’ve set a goal to eliminate plastic from our salon, It’s a biggie, so I’m starting with retail products and working from there. If you have any tips, I’d love to hear them! What sustainability initiative are you most proud of to date? We need to do more of this as an industry and push suppliers to support us. I know our clientele would be really happy if we sent less plastic to landfills. Do you have any advice for salons, spas and clinics wanting to become more sustainable? Do what we did and focus on one thing at a time! You can’t do everything. Also utilise all the information out there to create momentum towards becoming more sustainable. If you’re not sure where to start, do some research, collect ideas and give it a go. We’ve put our Sustainable Salon of the Year entry on our website so we can share our learnings with everyone. If they’d like to discuss sustainability please, feel free to email me – there are no stupid questions. It’s about changing the industry, not just our salon – so we need to talk, we need to expand our community and work together to make this happen. My family and my son. I’m taking Wednesday’s off the floor this year to work on our sustainability goals and get a better work life balance. Also our amazing clients – oh my god we are so lucky! I can’t count how often we hear “do whatever, I trust you” in a consultation. We get to have great conversations whilst doing what we love, it doesn’t get better than that! Additionally seeing change and winning awards allows me to be proud of what we’re doing, and that’s incredibly motivating. How do you feel entering the awards has helped you as a business owner? It’s totally energised me to do more and it’s reminded me of our vision which is very cool. I think entering and winning also gives you such pride and confidence in what you’re doing. Brilliantly it’s also inspired my team to enter next year – watch out Novice Champion category, our wonderful Rachel is planning her entry already and she’s so excited. Pull together the team you need to put your entry together. You can’t be awesome at everything, so find the people that cover the stuff you just can’t nail. I rely heavily on my friends, Jenn@Folkyeah who does all our design work and Maz who whips my waffling into pretty tidy sentences. We barter and it works for everyone. What would you say to salons considering entering The Industry Awards in the future? Do it! It’s incredible what you gain from it – so much confidence, pride and a massive boost. It’s also a good way to see what you’re about, what stands out and appeals to you. It’s like a pinterest board, you see what you like and can be yourself – there is always a place for who you are and what you’re doing. Also remember just entering is success in itself.